The Phanom Rung is a famous temple complex of Hindu origin, which is located in the South East Asian country of Thailand. The original name of Phanom Rung is Prasat Hin Phanom Rung which translates to the stone castle of Phanom Rung. The country of Thailand has a mixed religious base and it is quite fascinating fact that there are many Hindu instances in the country, which is quite rare in countries other than India. The Prasat Hin Phanom Rung is one of such instances. 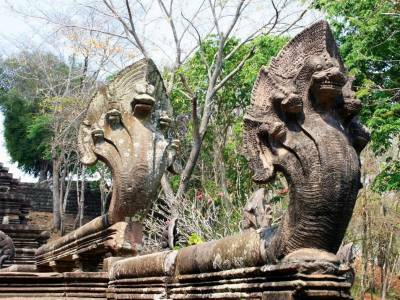 The visitors travelling to Thailand most certainly make a trip to the Prasat Hin Phanom Rung because it is a must see spot that lets them revisit the history of the land, the magnificent architecture and the wonders of the nature. 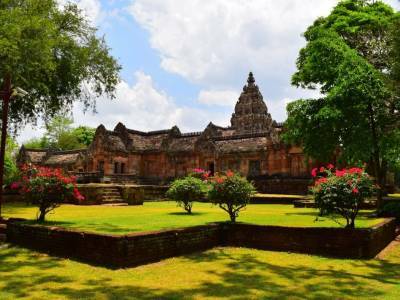 The Prasat Hin Phanom Rung is a Hindu temple complex built with most exquisite art and architecture and with a brilliantly finesse engineering. The temple is mainly dedicated to the destroyer god, Lord Shiva and the complex depicts the Mountain Kailash, the abode of Lord Shiva. 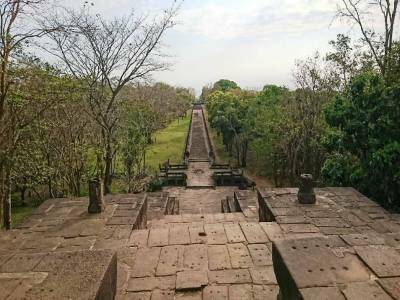 The Prasat Hin Phanom Rung is located at the outer circumference of a dead volcano of Thailand in the country's Buriram Province. The temple complex is an architectural marvel and made for laterite stones & sandstone. The temple complex has three main parts - the stairs of the White Elephant, the three great black serpents' bridges or the Naga Bridges and the following it comes the tall tapering main temple that hosts the Shiva Lingam. The eastern part of the complex has a Lost Vishnu temple. 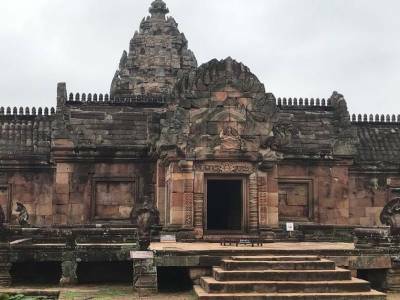 The temple was built in the starting centuries of the second millennium into the Common Era by the Khmer royalties who were a lineage of the Angkor of Cambodia. This historic temple complex is conserved by the government for both historical & tourism purposes and is enlisted as a future UNESCO Heritage Site. 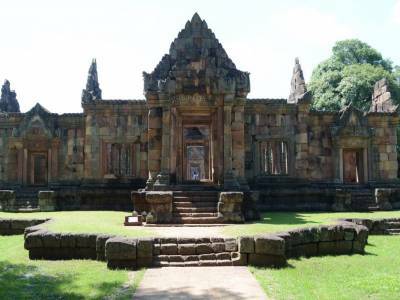 Get quick answers from travelers who visit to Phanom Rung Historical Park.